A brief history of the monastic community at St Benedict’s Abbey, Ealing and a description of how the monastic community has developed some of its apostolates for more than one hundred years. Our monastic apostolate is an expression of our Benedictine and monastic identity. Our shared community life and our celebration of the divine liturgy as established and regulated by the Roman Catholic church are our principal ways of proclaiming the Good News. We offer hospitality for prayer and learning and we offer pastoral service to St Benedict’s parish and schools. Our monastic community‘s apostolates are expressions of our Benedictine and monastic identity. Benedictines, as all other Christians, are always engaged in proclaiming the Good News of Jesus Christ. Hospitality is an additional characteristic of monastic life. Men guests may live, eat and pray with us in the monastery. Men seeking to discern their vocation in life are welcome to stay with us and speak with a monk. Women and men are welcome to stay in the house for guests and to worship with us in the liturgy in the abbey church. The external dimensions of catholic worship; the architectural setting, music in its many forms, ritual and the authorised liturgical books have been valued by the Ealing monks as ways in which all in the assembly may participate fully and profoundly in the mystery of Christian worship. Pastoral and missionary work in various forms; parish, chaplaincy and others, were soon established at Ealing; and Ealing Abbey was registered for Roman Catholic worship on 24 November 1899. Today single and married catholics, consecrated men and women living in religious communities and associations of the faithful are all valued members of our parish community. Spouses and friends who belong to other churches and religions regularly attend services in Ealing Abbey. The establishment in 1910 by Dom Cyril Rylance and continued investments by the monastic community over the years in the Ealing Abbey Choir and other ministries of music, including organ and voice tuition has provided a very important contribution to Catholic worship in West London today. Education is regularly an aspect of the life of Benedictines, and so it is no surprise that the Ealing community rapidly became committed to educating catholic children. The monastic community has shown continued commitment over the years first to St Benedict’s School (1902 -), then to St Scholastica’s nursery (1947-59) where Miss Everett and Mrs Snow taught, and to St Gregory’s School (1953-) which celebrated its diamond jubilee in 2013. The community continued to grow in numbers. Over the years and rather gradually, developing from the regular hours dedicated to reading and study during the monastic day and from the work of evangelisation and catechesis in parish and schools, there grew the ministry of writing and adult education. Abbot Cuthbert Butler of Downside stayed at Ealing Priory after his retirement and continued his work of writing and publication from 1922 until his death in 1934. Between 1933-1939 Dom David Knowles, the monastic historian and later Regius Professor of Modern History at the University of Cambridge resided there and conducted the research for his magnum opus The Monastic Order in England. Dom Bernard Orchard, one of the founding monks from Downside Abbey, developed as a Scriptural scholar. Dom Edmund Flood was a younger pioneer in this field of work at Ealing. 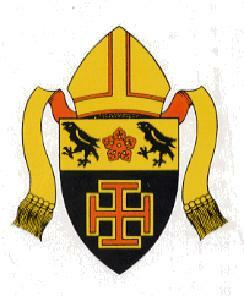 Soon after the publication of the Constitution on the Sacred Liturgy during the Second Vatican Council, in 1969 Abbot Francis Rossiter and Dom Edmund served as members of the “Council of Reference” which supported the establishment of the St Thomas More Centre (for Pastoral Liturgy) in North London. Dom Dunstan Watkins (1921-2012) was novice master from 1983 – 2000 and a gifted spiritual guide for many. More recently, this 100 year narrative has led to the monks founding Ealing Abbey Counselling Service (1993-) and the Benedictine Study and Arts Centre (1992-2015) and, with St Michael’s Abbey in Farnborough, the Liturgy Institute (2010-) and in 2011 the monastic community began to imagine of how to further develop its mission and service. On 1 September 2012 the monks established a new charitable company, “St Benedict’s School” with its own trustees, in order to take the school forward successfully. On 1 March 2015 Ealing Abbey began a collaboration with the NAOS-Institute in one of the monastery properties with the joint intention of developing adult education. Fr Abbot blessed College for Life on 1 September 2015. We are now working on rebranding promoting our adult education programmes under Benedictine Institute.